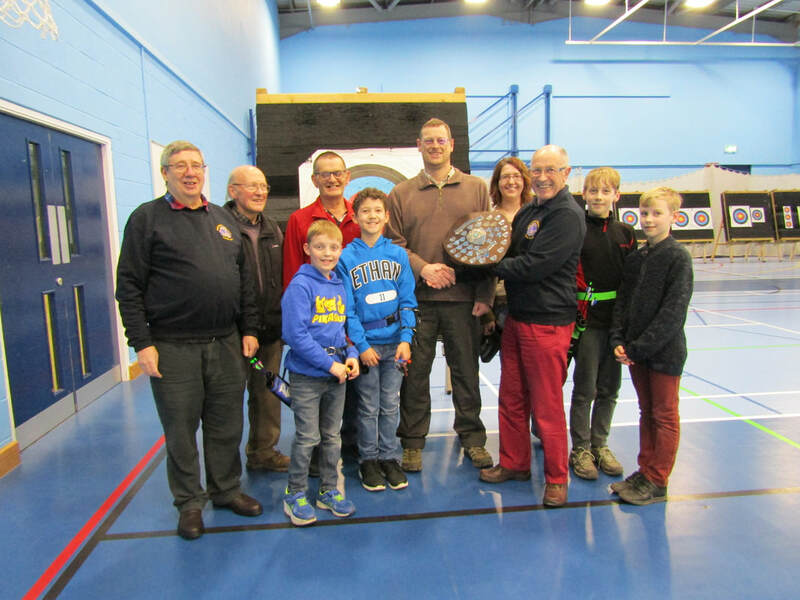 Seen above on 22nd February 2019 is David Salmon, of the Sherwood Archers, accepting the Bob Eastty Memorial Trophy from Lion Roger Eastty for obtaining the most sponsorship for a single team for the 3rd year running. 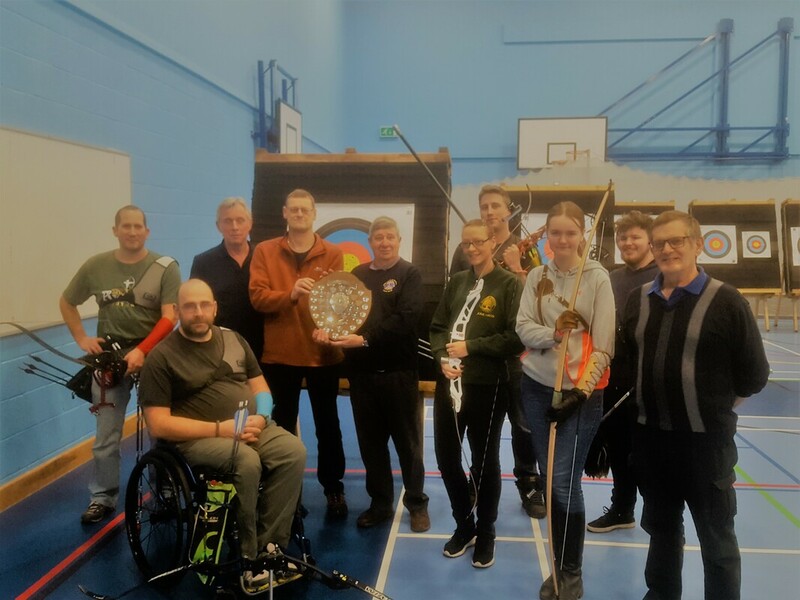 David is surrounded by fellow members of the Sherwood Archery club. This year's Swimathon took place on Saturday 13th October at Southwell Leisure Centre. Many thanks to the Scouts, Cubs & Beavers who took part. You can see some of them after their swim in the photo below. They are holding their Certificates alongside the Lions who helped run the event. We are also very grateful to Southwell City Football Club, Southwell Cricket Club, Reach & the Sherwood Archers for entering teams. And not forgetting young Ben Banks who swam all 50 lengths as a team of one! In 2017 over £1,900 in total was raised in sponsorship of which £670 was donated to Southwell Lions. The balance went to the organisations entering the teams. by Verdun Webley (Lions Vice President) and Lion Roger Eastty, Bob's son (on the far left).